Watch out world these pictures are living on the web and give us a personal glance at how others are living their lives. Check out some great shots of what other people around the world are doing. In a boat! Now that takes talent! 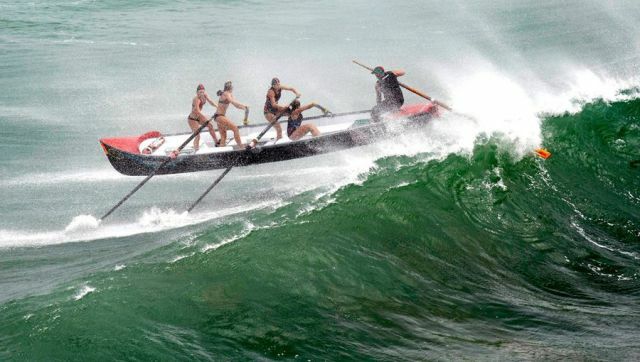 This is the Piha women’s surf boat crew as it was hit by a big wave. They are entered in the Surf Lifesaving Big Wave Classic held at Piha Beach, New Zealand. 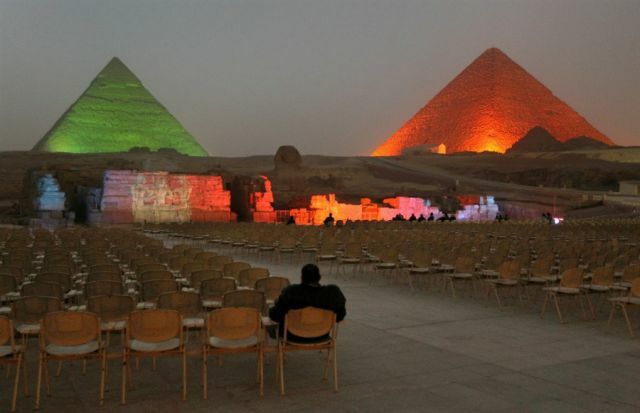 Just one person is attending the Giza pyramids and watching the light and sound show. During Egypt’s uprising most of the tourists fled. Tourism is what supports at least 10 percent of the population of Egypt. 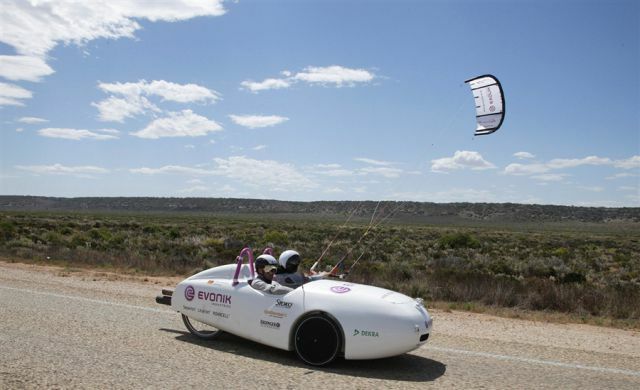 This car is driven by the wind and has been driven across Germany and Australia in this updated photo. The car is called the wind explorer, but it is actually powered by batteries. It has traveled over 5,000 km from Perth to Sydney on Tuesday. The kite item is used to help increase the speed of the vehicle. 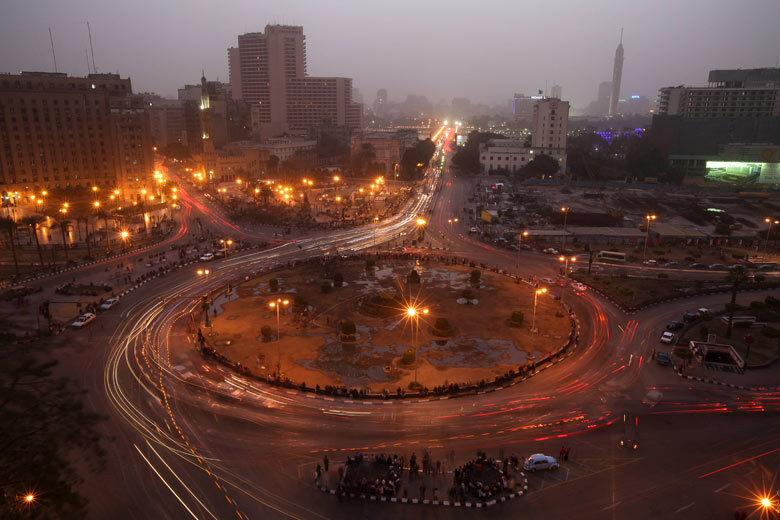 The traffic has begun to flow again in Tahrir Square, Cairo now that the uprising has ceased. The Egyptian army cleared the area of the last remaining protestors. 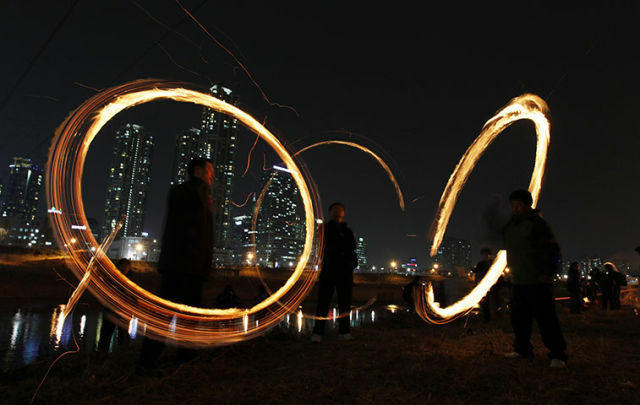 People in Seoul, South Korea twirl cans filled with burning wood chips during the celebration before the Great full Moon festival. Shadows keep these guards company as they march back and forth in front of the tomb of the Unknown Soldier in Athens, Greece. 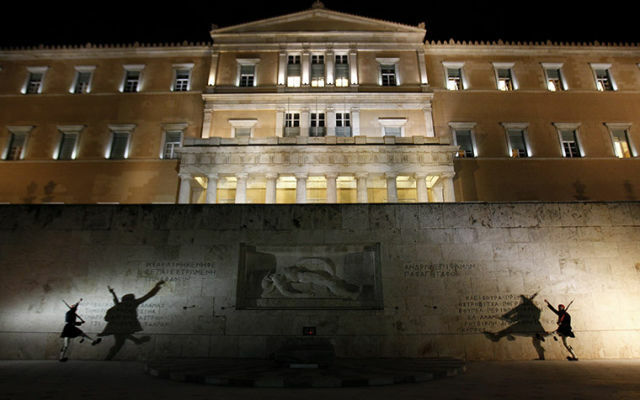 This live art piece is being shown during the British Art Show, and is seen by thousands of people daily. The piece was created by Turner-Prize nominated Roger Hiorns. This ordinary Maruti has been affixed with rotor blades, and extended wheelarches that cover a vacuum section. It hasn’t flown yet, but the car already has people wanting to back it to see it fly. 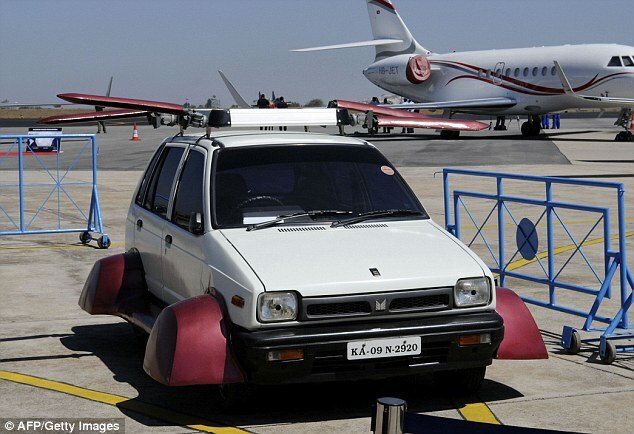 It was shown at the Aero India 2011 air show in Bangalore.